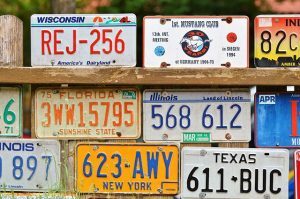 Being able to quickly and accurately read license plates is a necessity in today’s security landscape. How does an Intelligent License Plate Reader completely raise the standard for security professionals? In terms of vehicle identification, we typically rely on license plates as being the most visible and accessible form of identity verification. When you get pulled over, it’s likely that an officer of the law will immediately take your license plate number down and if you were to be involved in a hit and run accident, it’s always wise to take note of the other vehicle’s license plate details. It comes as no surprise then that security experts have long sought ways to better identify and track license plates. This is why Gatekeeper’s Intelligent License Plate Reader is such an asset to the security community. Read on to find out more about how our Intelligent License Plate Reader raises the standard within the security community. It’s in the name: our systems are backed by intelligence. This entails intelligent character recognition capabilities, which allows for better and more complete details regarding license plate reading. Our Optical Character Recognition software can decode images into usable, manageable data, meaning you can compile the data gathered by the Intelligent License Plate Reader into an easily manipulated database. This intelligence also means that the system can be used in any country or specific region, allowing for adaptability that isn’t seen in other license plate reading systems. Lastly, this intelligence allows for easy system integration, meaning you can pair it alongside other Gatekeeper software and hardware or other security tech altogether. Our Intelligent License Plate Reader is capable of creating high-quality images that cannot be matched by other systems on the market. We employ a specialized digital IP that uses either infrared or white light illumination to create the best possible environment for capturing superior images, which also means that our system is capable of full functionality no matter the weather or lighting conditions. This entry was posted on Friday, January 18th, 2019 at 11:19 am. Both comments and pings are currently closed.